Bonjour lecteurs! Our Back to School Giveaways series is coming to an end today, but do not worry! We will have more competitions coming up soon 🙂 And if you like kids’ fashion, we just launched a new series of exclusive giveaways only on Instagram! Make sure to follow us there so that you do not miss more fab prizes to win! But for now, it is time to give you the chance to win some cute items for school! 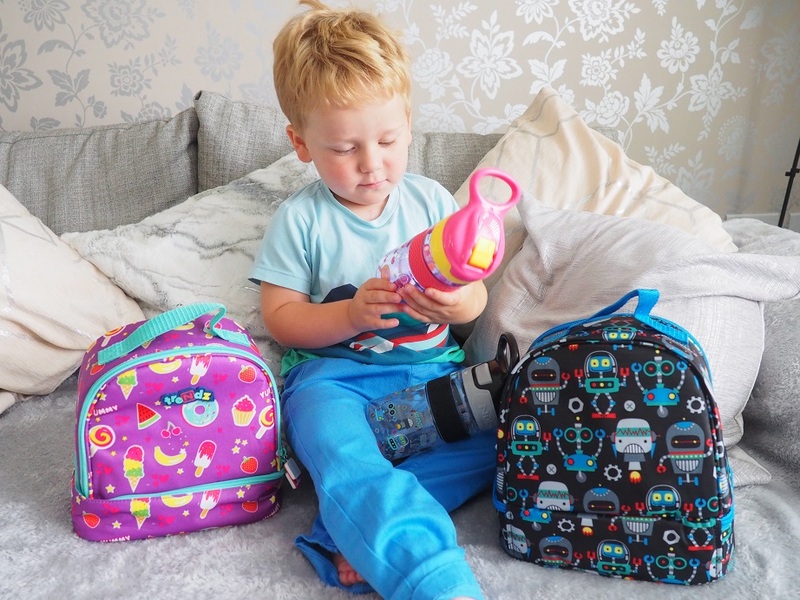 Win a Nûby Trendz 2 in1 Backpack & a Matching Cup worth £27. Your little one will look so fancy with those! 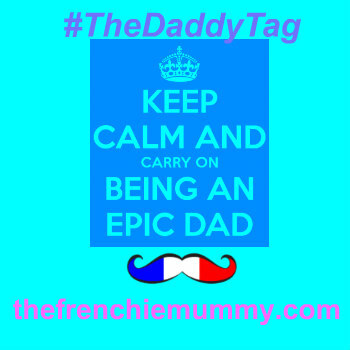 If you have been reading the Frenchie Mummy from the start, you would have come across Nûby on our channels before! Created in the 1970’s, this cute brand has been around for quite a long time now, providing high-quality and innovative products for parents. Their motto is simple. 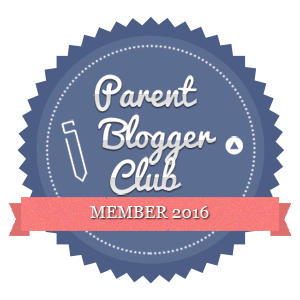 They want to make the journey of parenting fun and easier! Today, Nûby™ is distributed in over 155 countries around the world and is loved by millions of babies and families worldwide! The label covers it all: feeding, weaning, soothing, play, bath and nursery. We have had many toys with Nûby. We are still loving some of its cutest bath toys! The label just launched the super cool collection Trendz for preschool and school and sent us some samples to test. He was quick to use the bags to put his cars in! Ready to rock it with the new Trendz range? Your little ones will for sure have some fab adventures with those! 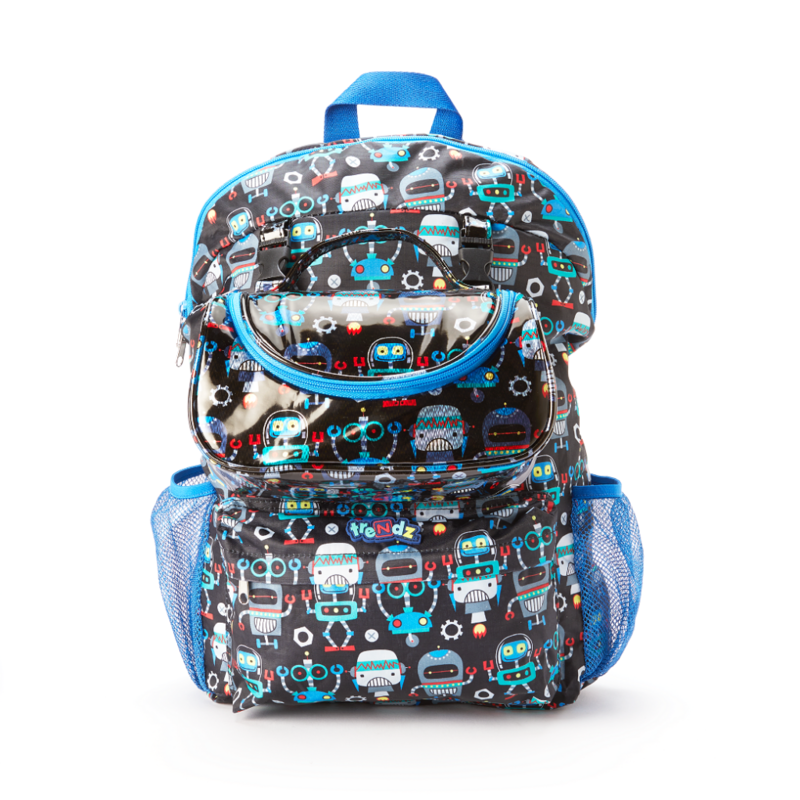 From backpacks and lunch bags to cups and pencil cases, Trendz covers it all for cool toddlers to be in town! The prints are funky and the material is also so easy to clean! Checking out very carefully the water bottles too! I have shared with you before on my stories the unboxing. Baba absolutely loved these bags! We received two lunch bags and the matching cups. They are so fun! The first design with robots has a cool shiny metallic finish. But we also love the ‘Treats’ print! This purple is so vibrant! Please note that Baba has the lunch bag version on our pics, but you are in to win the Nuby Trendz 2 In 1 Backpack and Lunch Bag. 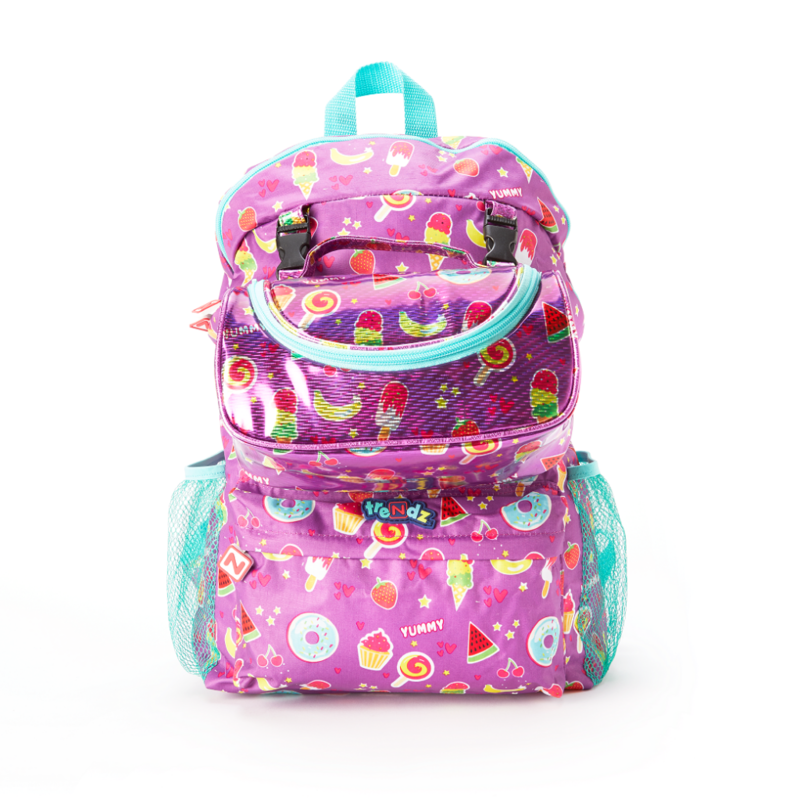 Super practical for pre-schooler and bigger ones with its many compartment and pockets, it is so funky to go to school! It is so clever! 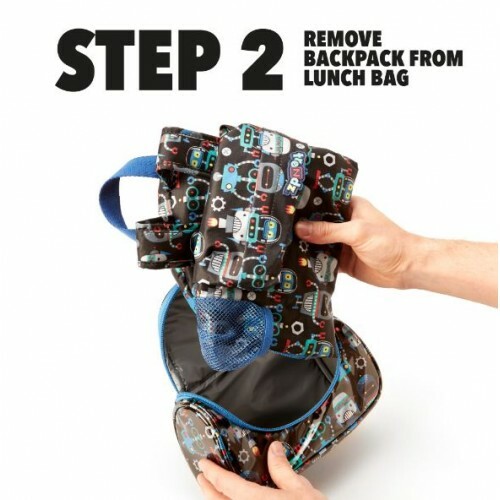 Indeed, the bag stores a lunch bag so you have it all in one place! And you can even attach it to the main bag so that nothing gets lost! I have featured the ‘Robot’ design in this post but you can choose the style you prefer! To complete the look, you will also receive a water bottle! We already have one of those from a previous collection and it is so handy! With its pop-open feature, no worries to spill anything! Plus it is BPA free and you can put it in the dishwasher! En plus, with its carry handle, you can hook it everywhere! I always have it attached to our pushchair when we go for a walk. So that if Baba is thirsty, I am prepared! Not to forget the cool designs! You will be able to match it to your bag! Fancy some cool gear to go to school? 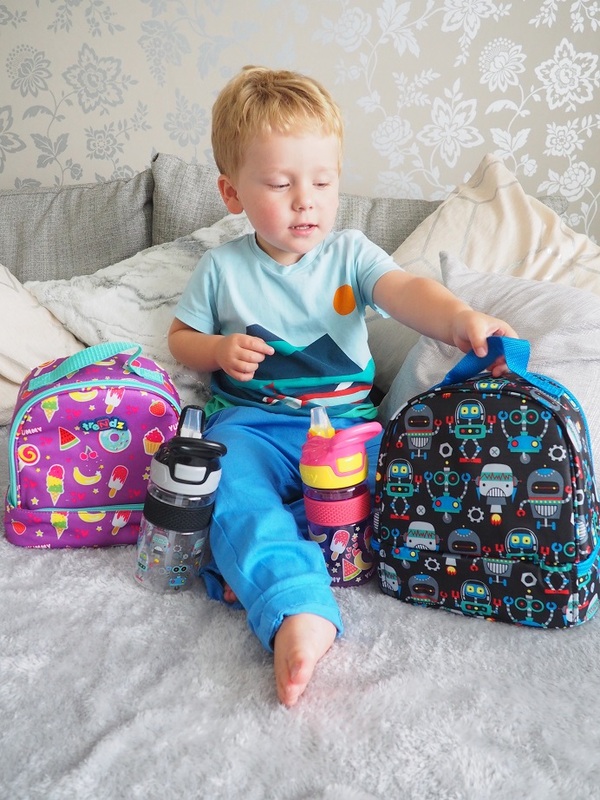 Win a Nûby Trendz 2 in1 Backpack & a Matching Cup worth £27. The winner will receive the two items in the design of their choice. Enter our last Back to School Giveaway now via Gleam! This giveaway starts on the 21st of September and ends at midnight on the 21st of October. Our Back to School Giveaways series is now over, but follow us on Instagram now to win more fab prizes! And don’t forget to visit our Facebook page for extra entries! Disclosure: This is a sponsored post written in collaboration with Nûby. I love the vibrant Treats print! I like the robots design because it’s so cute and stylish. I think they are great backpacks, shame there is only 2 colour designs though. I like the Treats print – perfect for girly girls.. I love the Treats bag. They both look fab – so clever – but I think the robots design is my favourite! Love this, the robot one is amazing ?? 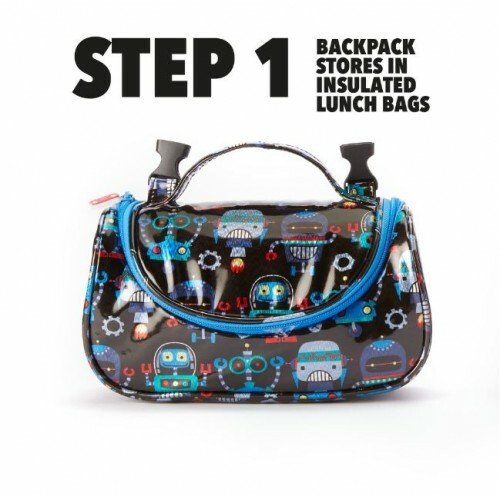 I love the Robots bag, my son would love it too. ‘Treats’ print for us, many thanks…. I love the treats design as it’s one I know my daughter would really like . I like the robots as I like the colour scheme. I absolutely adore the robots for both boys and girls, I think my nephew would absolutely adore it just as much as me! My Grandson would love the Robot one. Robots. my boys love robots. The shark print. My nephew is obsessed with them. Both, my little girl and I, adore the Treats print. It’s funky with vibrant colours and it suits all the ages (it’s not too “babish” as my little girl says :)). I love the robots – they’re so cute! I love the robots design 🙂 it would be perfect for my boys ? I love the robot one as I know my grandson would be over the moon with it. I like the robot design because we have a little man who is obsessed with robots! The ice cream and cake one… I mean come on, who doesn’t like ice cream and cake!! I really love the Robot design for my little robot fan! Love the ice cream one as it is bright and unique! I like the Treats print. Thanks for the competition. I like the robots as they are a little different and suitable for both girls and boys. 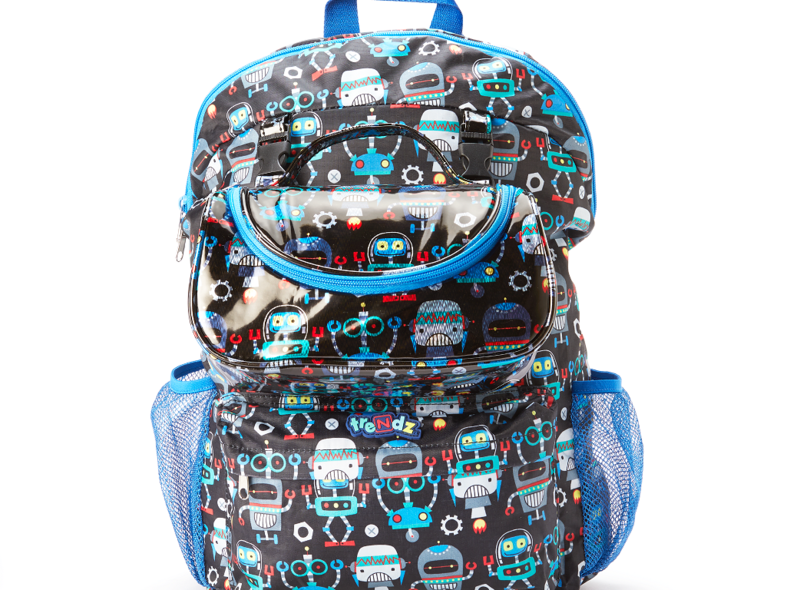 Love the robots design and the fact that it looks so lightweight, perfect for school or days out with snacks! I love the treats print my daughters would love this. The robot design would appeal to my grandson! 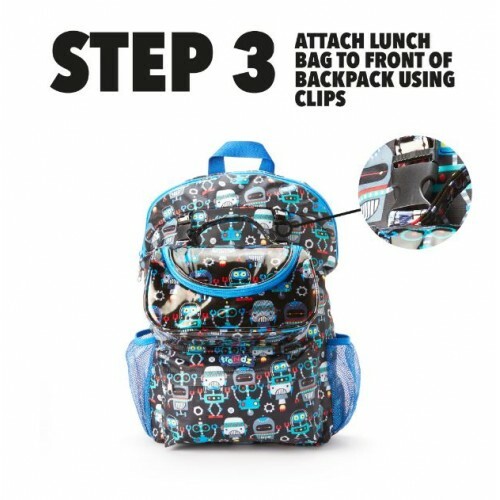 I really like the Nuby Trendz 2 In 1 Backpack And Lunch Bag, Treats bag even more so because it can go in the dishwasher which is a genius idea especially after yogurt & fruit spills!